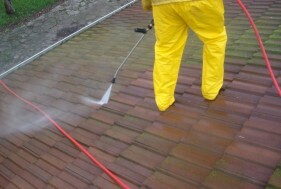 Melbourne Roof Cleaning and Restoration care as much about your roof and other hard surfaces as you do. You can rely on our roofing experts for a Tailored High Pressure Roof Cleaning Solution based on your individual requirements. Roof Cleaning and ongoing maintenance are essential for keeping the roof over your head and extending its life. If your roof has developed moss or lichen growth, or is covered with dirt, contact Melbourne Roof Cleaning and Restoration to learn about our high pressure cleaning services and obtain an obligation FREE Inspection and Quote. Our expert roofing specialists will advise on the recommended course of action for all your cleaning requirements.